Opposition Forum for Democratic change FDC vice chairperson Eastern region Proscovia Salaamu Musumba has revealed that the party has no plans of disbanding or reshuffling the current opposition leadership in parliament before their two and half years elapses that’s in December next year. Musumba who was addressing a news conference at the party headquarters also cautioned their leaders in parliament to stop issuing threatening messages through the press on the same. It should be noted that after the former party president Maj Gen Mugisha Muntu declared his next move after loosing in elections l, the leader of opposition in parliament Winnie Kiiza and the opposition Chief whip Ssemuju Nganda said that they are waiting for a notice disbanding opposition in parliament as it was promised by the current president Patrick Amuriat oboi during his campaigns to which Musumba said it will not happen unless if they choose to resign. 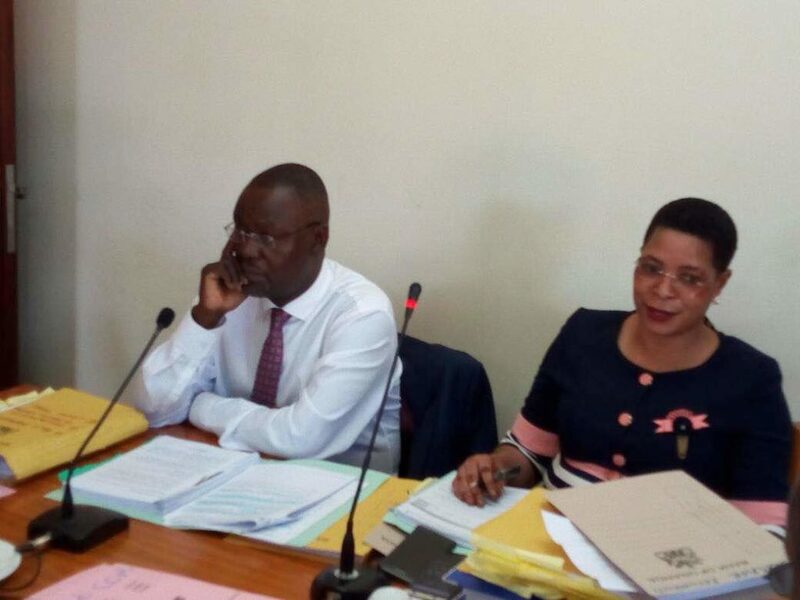 In the same way FDC has revealed it’s plans to sack the vice chairperson on the Committe On Commissions, Statutory Authorities and State Enterprises COSASE Anit Among over double royalty. However Musumba said she will be first given a chance to explain herself on why she has been controversial when it comes to opposition agendas. This she will do during the new fdc president Patrick Amuriat oboi’ meeting with opposition members of parliament. Among Was The deputy treasurer general of fdc until in the last elections when she contested on an independent ticket for member of parliament seat.